Who you rooting for this Saturday? This weekend is Championship Game Weekend! So who are you rooting for this weekend? The only two games that really concern Cal will be the Pac-12 Championship game between Oregon-UCLA, and the result of the Baylor – Texas game. I know that lots of Cal fans would love to have a matchup against Texas in the Holiday Bowl after Texas’ Mac Brown cried his team into the Rose Bowl, stealing the spot from Cal. A Cal victory against Texas in the Holiday Bowl would mean a lot to our boosters and to our current recruits, especially those who live in Texas. However, there are a few things that has to happen for a Cal – Texas matchup at the Holiday Bowl. The #5 Big 12 team is usually selected to go the Holiday Bowl. This means that Baylor must beat out Texas at home. This game will be featured on ABC at 12:30 PT this Saturday. Go Baylor Bears! This is very likely to happen considering that UCLA is only in this because of weird set of events and USC’s ineligibility. When Oregon beats UCLA, Oregon will go on to the Rose Bowl while Stanfurd will most likely head to a BCS Bowl. Leaving the Alamo Bowl for Washington and the Holiday Bowl for Cal. 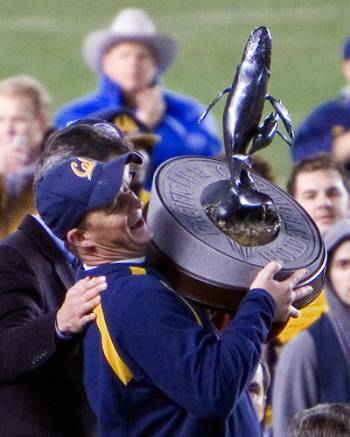 There is no way that the Holiday Bowl will pass up Cal because Cal has always had a good showing in San Diego. However, in the off chance that Oregon does lose to UCLA, Cal may still go the Holiday Bowl because the Holiday Bowl Committee may not want to have Washington again for back to back seasons. The Pac-12 Championship Game will be featured this Friday on FOX at 5:00pm PT. Will Slick Rick pull of the biggest upset of the year? Even with a Baylor and Oregon victory, the Holiday Bowl committee still has to choose Cal and Texas. This, fortunately, is very likely. Washington will most likely be chosen by Alamo because Washington has been on television more often in San Antonio than Cal, and Washington beat Cal this season. There is a very small chance that the Alamo Bowl might choose Cal because our fan base is much closer to San Antonio. If Washington is chosen for the Alamo Bowl, the Holiday Bowl will happily take Cal because of our California fan base and because Cal won the head to head matchup against Utah. If Texas loses this Saturday, there is a small chance that the Holiday Bowl chooses Missouri over Texas because Missouri beat Texas this season. Texas fans always travel well and they also bring more national attention than any other Big 12 team. The bowl selections should come out sometime this Sunday, if not some time next week. Let’s see if this all pans out, so we can smash on those Longhorns. Cal fans should start buying your Holiday Bowl tickets now, before Texas fans buys them all out (which will shoot up resale prices) if they lose this Saturday. Oh and also Great Deal on SF-San Diego flights through Travelzoo HERE. The Pac-12 schedule may be the hardest schedule in all of college football. The Pac-12 and the Big 12 are the only conferences who play 9 conference games. The Big 12 was forced to play round robin after Nebraska and Colorado left the conference, and they are now finding out how tough it is to stay undefeated (just take a look at Oklahoma State). 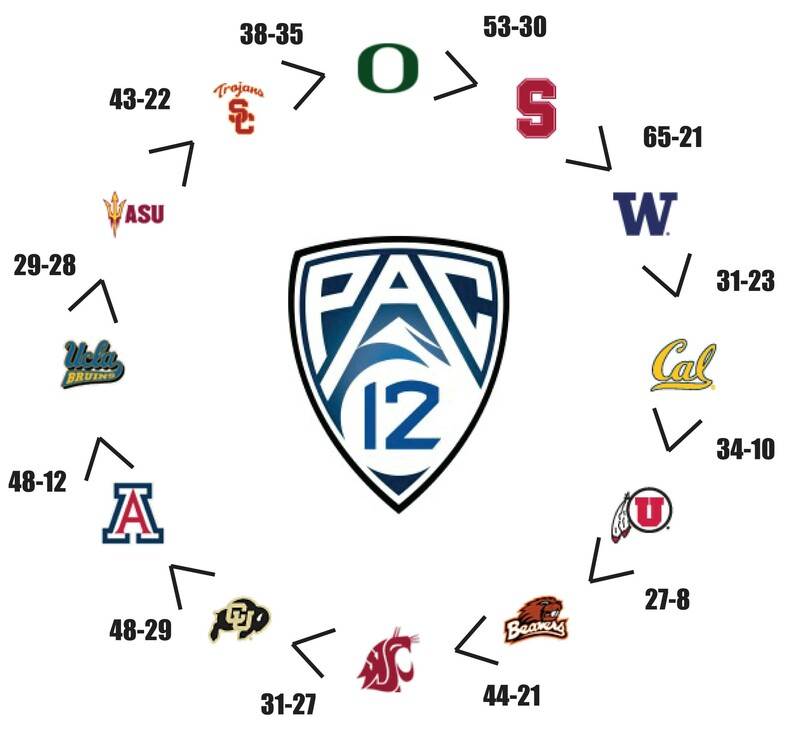 It is almost impossible for any Pac-12 team to come out of the conference unscathed, so kudos to the 2010 Oregon team and the 2004 USC team that went undefeated in conference play. Conferences like the SEC claim that they only have to play 8 games because teams in their conference are much better, but that is only because their rankings are overly hyped and biased. I bet that if LSU was in the Pac-12 they would have at least one loss right now. Only the toughest survive the Pac-12. Kendricks, a senior from Fresno, Calif., leads the Golden Bears and ranks fourth in the Pac-12 with 8.0 tackles per game (96 total). He is also tied for third in the Conference with 13 tackles for loss. Kendricks has played a key role on a Cal defense that ranks 27th nationally in total defense, holding opponents to 339.42 yards per game, and has amassed 2.67 sacks per game to rank seventh. Kendricks has recorded three sacks for 30 yards this season. He is Cal’s active career leader in several defensive categories including tackles (248), tackles for loss (35) and sacks (13.5). California’s defense held seven opponents to 15 or fewer points this season.